Last year for Mother’s Day I took the boys camping and gave my wife a nice quiet house for the weekend. I know, it sounds selfish, but she loved it and we loved it, so I planned to do it again this year. As it turned out, she had classes the weekend of Mother’s Day, so I wouldn’t have a vehicle to take the boys camping. We went a week early instead. The boys, my friend John and I went camping at my favorite spot, Hancock Campground on the Kancamangus Highway, which happens to be open year-round. 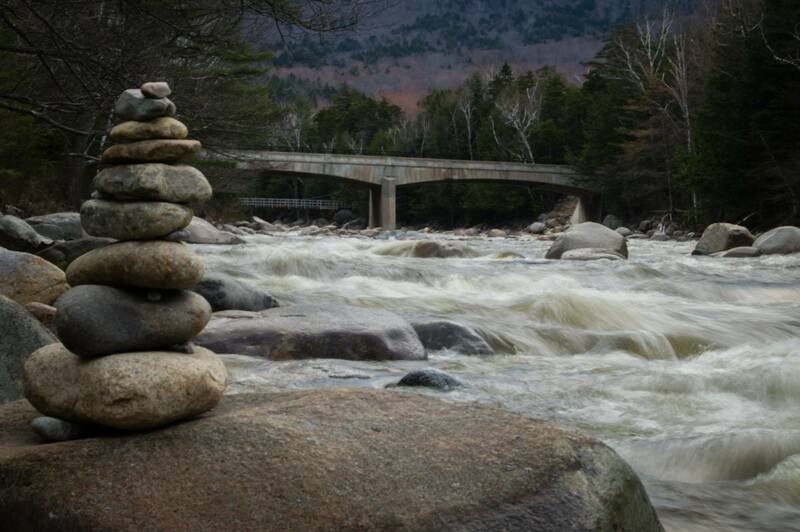 I have camped at site 12 on the Pemigewasset River at least 5 times, and we camped there again. We left after work and we got to the campground as it was getting dark, but that didn’t diminish our moods. The boys were excited for the campfire and sleeping in the tent, and we got to see a moose shortly before the Kancamangus Pass. Man is the only creature comfortable sleeping on his back. If you lay on your back and look up, what do you see? You see the cosmos. In the morning I got up and meditated on a large rock in the river and then brewed up some coffee as everyone else rolled out of their sleeping bags. I underestimated how long it would take to pack up camp and we left for our hike a bit late. By the time we got to the trailhead my other friend Mike was waiting for us with his two boys. The parking lot was filling up and there was a large group just hitting the trail. We hesitated in the parking lot so we wouldn’t be right on their tails and then headed up the trail. We hiked toward Welch Mountain first, approaching the loop counter-clock-wise. The climb was easy, which was good for the boys. At one point John said: “Oh, snake,” and reached into the brush to pull out a snake by its neck and tail. Mike and I looked at each other and decided that it was good that we hadn’t seen any rattlesnakes on adventures in Texas. 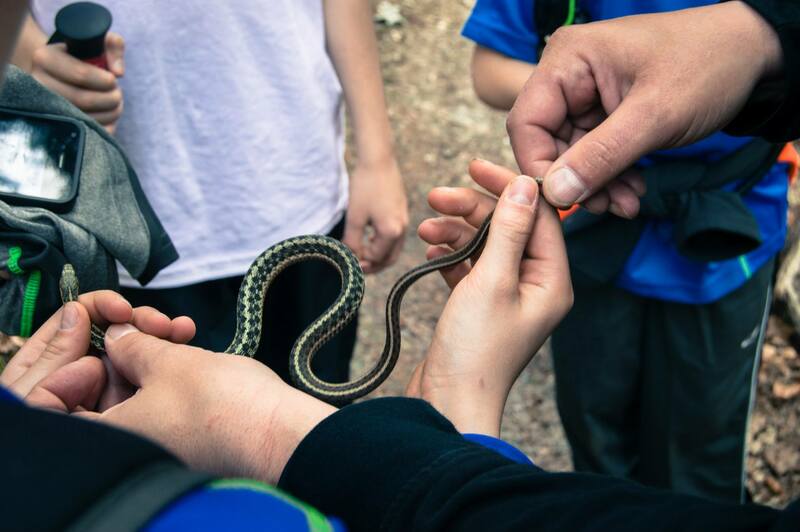 John showed the boys how to handle a snake and then released it back into the woods. 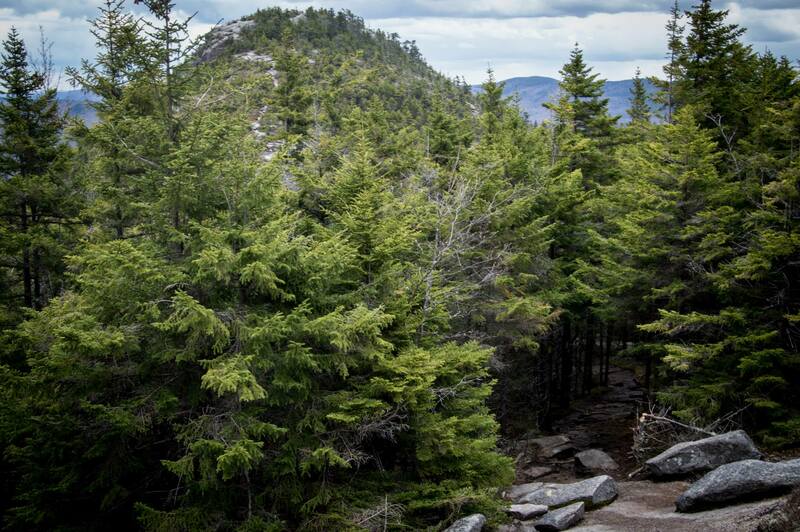 Soon after, we broke out of the woods and onto a large, rounded ledge that sat below the hump of Welch Mountain. 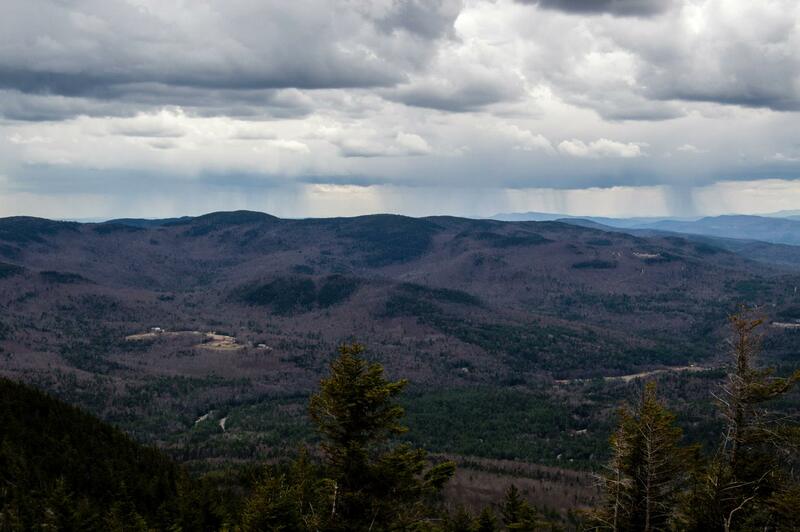 We had a clear view to the east of Sandwich Mountain and to the northeast we could see the peaks of the Tripyramids. We checked out the scenery with John’s binoculars and our different photo-taking devices and watched people hike where the ledges poked out of the trees further up Welch’s peak. When it started to get crowded on the ledge we packed up and continued to hike up Welch. The hike grew more interesting the higher we got. It picked its way across bald ledge among the sparse trees. 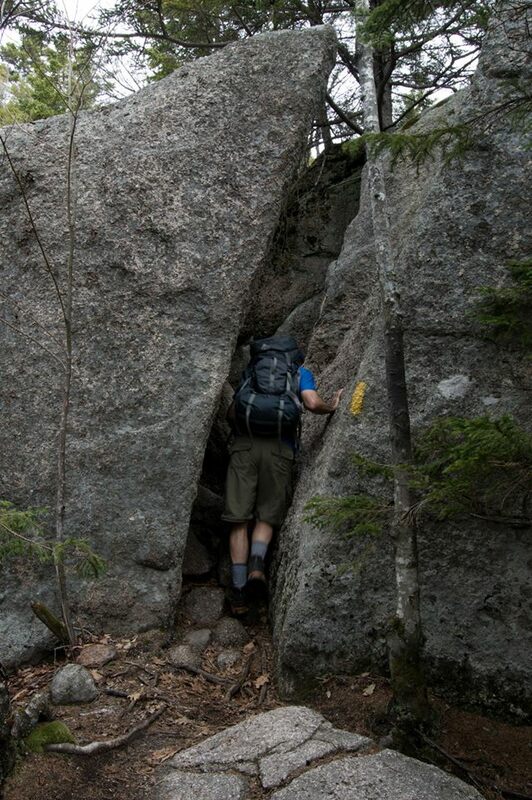 There was quite a bit of friction climbing and in a few places were we had to hand-over-hand up large rocks. The views of the surrounding mountains jumped out between trees everywhere. As we closed in on the summit we came to a narrow crack in the rock where we had to squeeze our pack through and then climb up on top of the rock to continue. A hiker behind us told his friend that it was The Bottleneck, like on Everest (I think he meant K2). We got to the summit of Welch a few hours after setting off, right about noon-time. There were a few other people on the summit, but we settled down in a bowl cut into the peak of the summit where the kids could keep out of the breeze. It had clouded up and was cool, so Mike and I pulled out our stoves. He heated up some hot chocolate for his boys, and I cooked some mac and cheese for my boys and vegan Pad Thai for myself. As we ate our lunch we gazed out at the scenery. 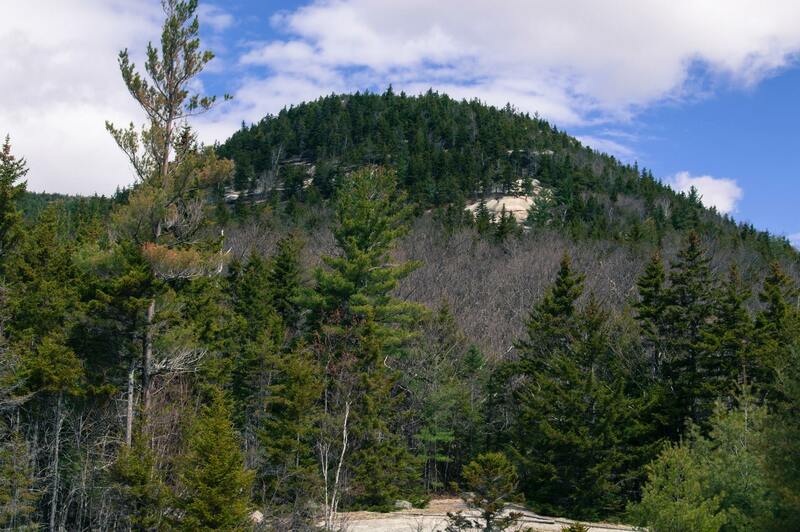 To the northeast were the Tripyramids again and to the northwest stood the large dome of Moosilauke. Once we had cleaned up our lunch and packed up (and I picked up some trash I saw another person throw into nearby trees), we started on our way to Dickey Mountain. The trail dropped down some ledges and into a col between the two mountains. At the low point was a six or seven foot cairn standing over a great view to the east. The hike up to Dickey from the col was short. Occasionally we had a view back of Welch Mountain. I particularly liked one view I had while my youngest was using the little boy’s room. Welch Mountain was standing over the dense pine trees and the trail could be seen meandering down the slope of the mountain and again coming out of cavernous gap in the forest. We reached Dickey summit but did not stay long as it was apparent that the weather was taking a turn for the worse. The rain was supposed to hold off until 4:00pm, and it was only 1:30pm, but we could see it rolling in from the west. 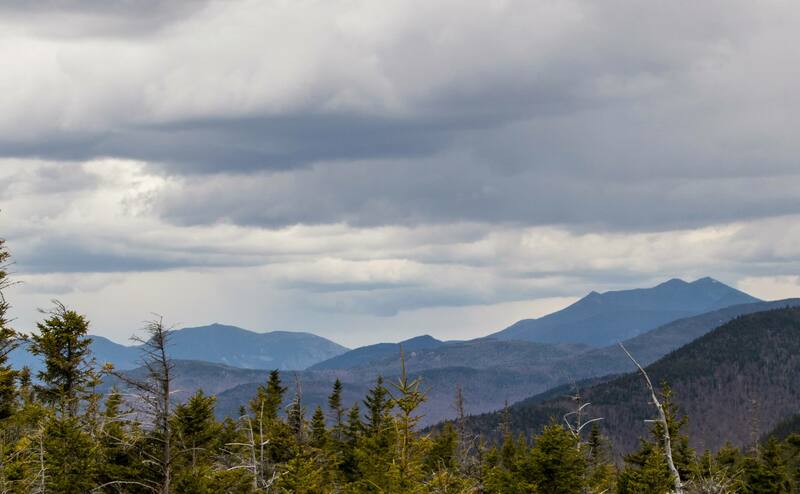 We headed down the trail from Dickey summit and had a view to the north of Cannon Mountain and Franconia Ridge. The arrangement of the mountains had me boggled while we were hiking. I guess I had been so enamored by Moosilauke that I had pictured us to the west of Franconia. 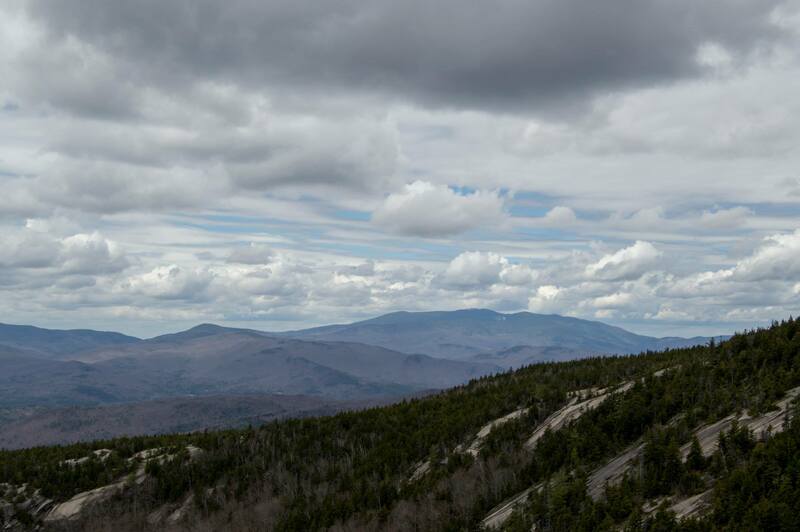 I could definitely pick out the Cannon Balls and the cliffs of Cannon, so I couldn’t figure out why Franconia Ridge looked closer than Cannon and why Lincoln looked taller than Lafayette. Somehow it hadn’t donned on me that we were to the east of I-93 which runs down the center of Franconia Notch, even considering we arrived at the trailhead by heading east from the I-93 exit. As we made our way down the ledges on the Dickey side of the loop it began to rain. 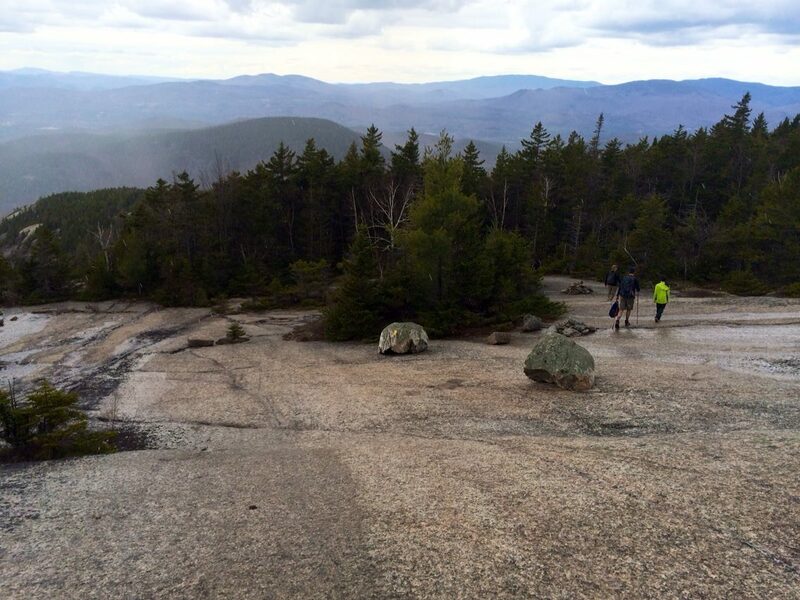 It never rained hard, but the rocks below our feet quickly grew slick. We slowed down our pace and made sure the kids were leading by the safest route. At one point it was pretty sketchy, the top of the rounded ledge was only a few feet wide and to our left the ledge sloped down at a steep angle before dropping off a cliff. The boys didn’t seem to notice, they continued to walk and talk as we pointed them to the far right side of the ledge, but I must admit I held my breath. It would have been a non-issue in good weather but my imagination took off with the worse possible scenario in the rain. Soon after the ledges the trail entered the forest and climbed easily down to the parking lot. 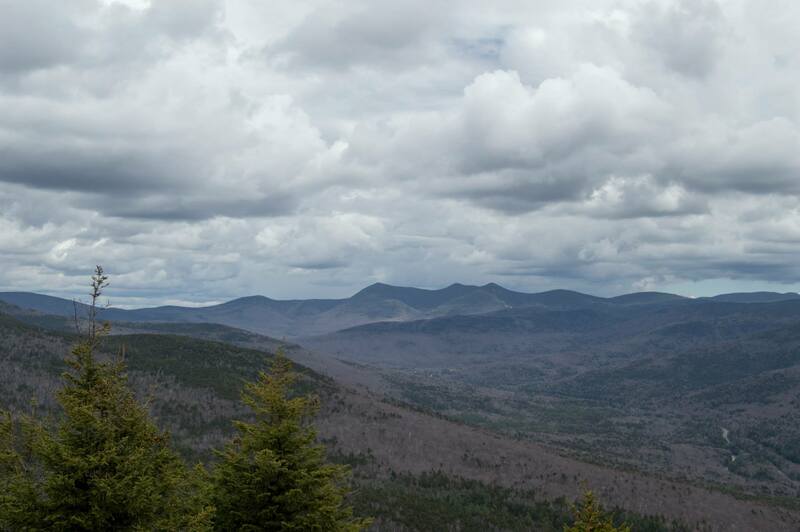 It was one of my favorite day hikes in the White Mountains, even considering the low elevation and high crowds. The views were amazing for 2000 footers and the variable terrain kept it interesting. More importantly, I was glad to give my wife a nice quiet weekend and the boys had a blast in the outdoors. If I pass anything on to them, I hope it is the love and respect that I have for nature. “Hancock Campground.” http://www.fs.usda.gov. United States Department of Agriculture: Forest Service. Web. 8 May 2014. “K2: The Killing Peak.” mensjournal.com. Men’s Journal LLC. Web. 13 May 2014. 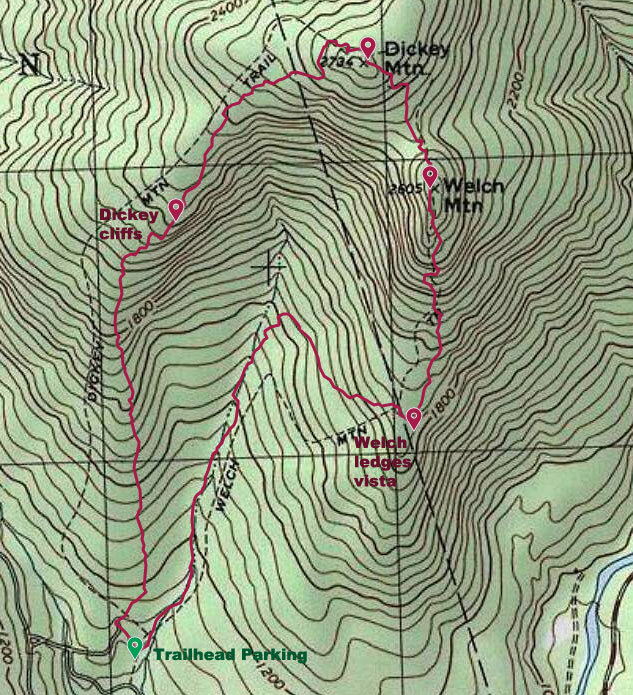 “Welch Mountain and Dickey Mountain Loop.” hikenewengland.com. 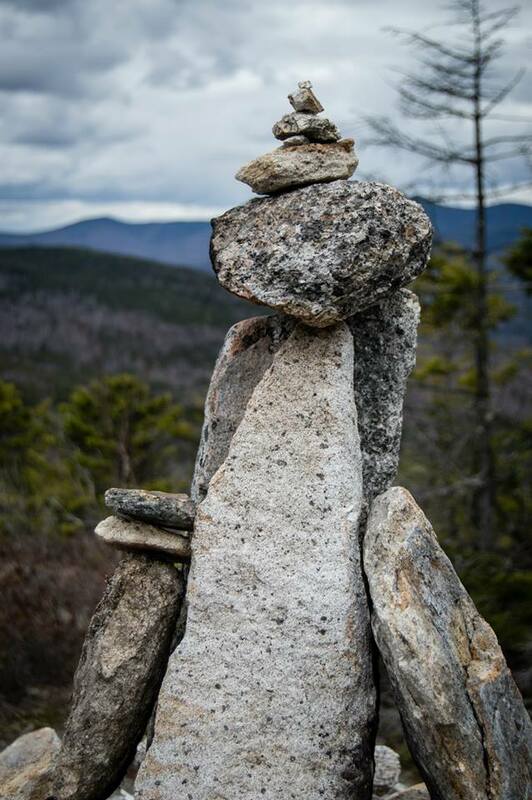 Hike-NewEngland.com. Web. 4 May 2014. 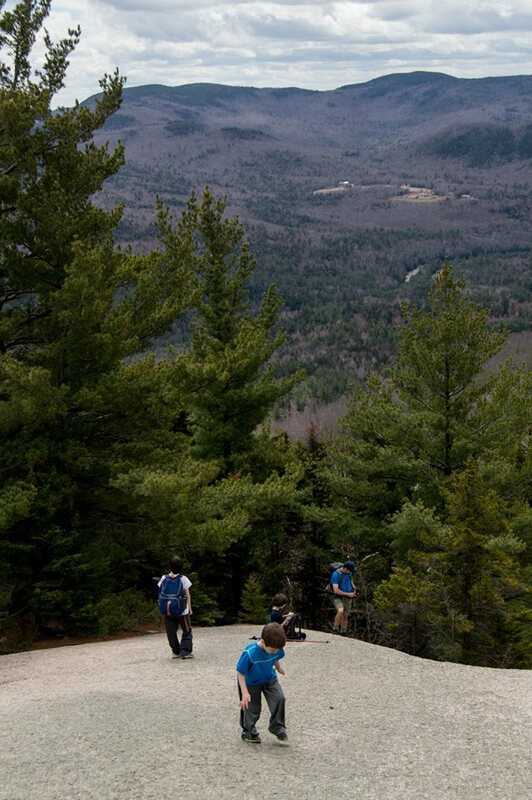 This entry was posted in Hike and tagged camping, Dickey Mountain, Family, Hike, New Hampshire, Welch Mountain, White Mountains National Forest. Bookmark the permalink.